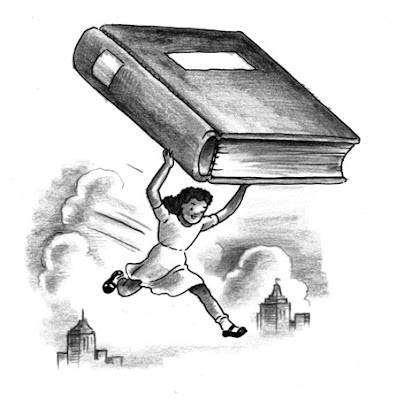 After the Society of Children's Book Writers and Illustrators panel I sat on last month, the Coordinator of Youth Services from the Ferguson Library in Stamford, Connecticut, came up to me and shared fun news. 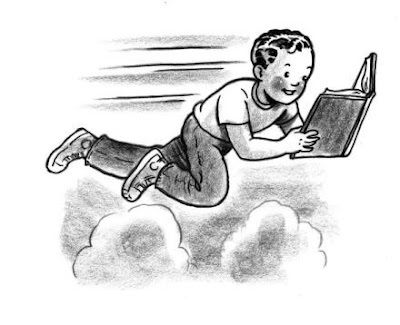 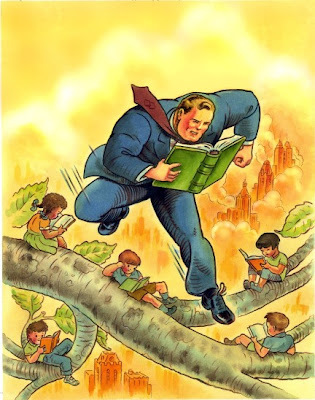 As I understood it, inspired by Ross MacDonald's art for Boys of Steel: The Creators of Superman, the library commissioned him to create the centerpiece images to promote their summer reading program. 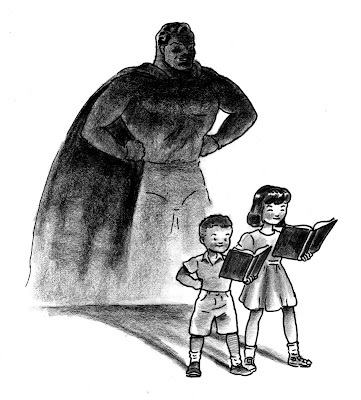 The theme is "Super Readers Summer."